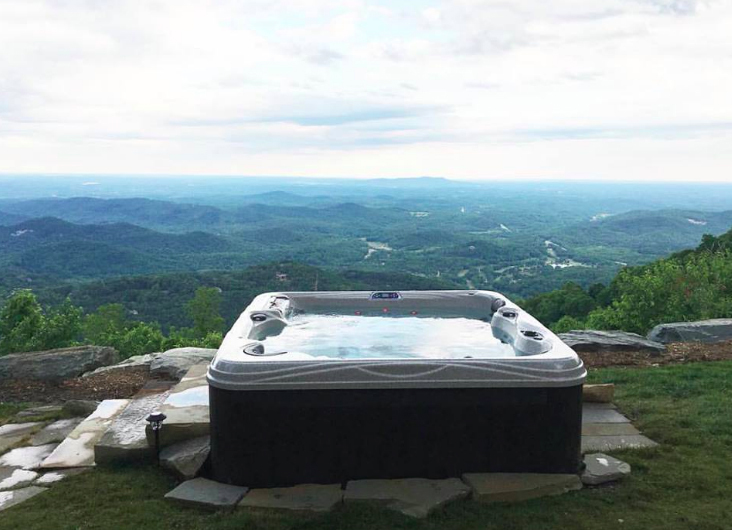 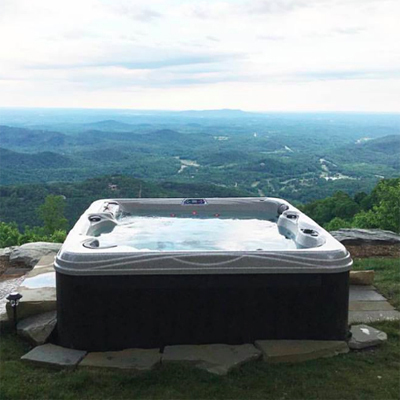 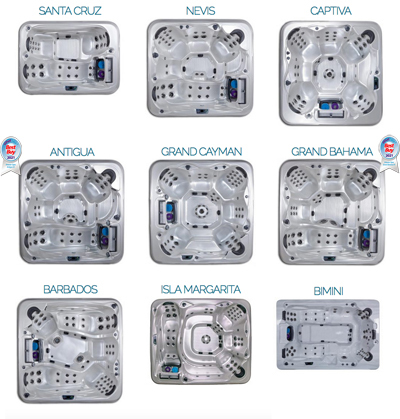 Built to the same world-class standards of quality - by the same gifted hands that bring the Artesian Platinum Elite spas to market, the Island Class is as unflinching in quality as it is in aesthetic appeal. 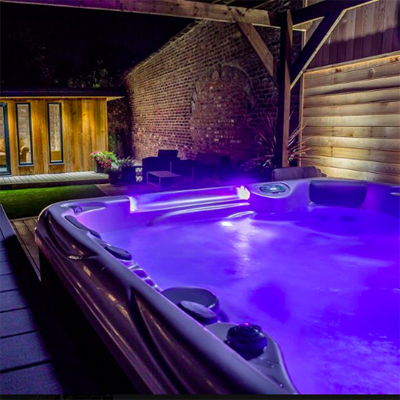 However, the expert craftsmanship and stunning design are not the only compelling aspects of the Island Spa. 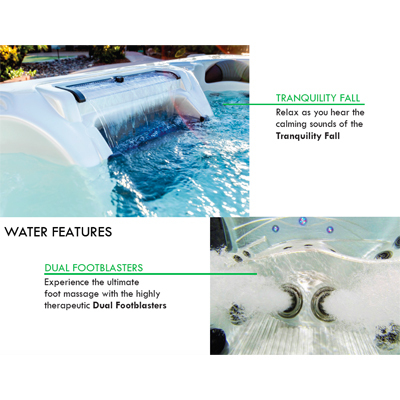 This spa line is built to deliver robust and meaningful hydrotherapy, performing consistently at the top of its class. What’s more, with the Island Class, each spa is uniquely crafted to meet your specific needs and cater to your demanding tastes, while always finding a way to accommodate your budget. 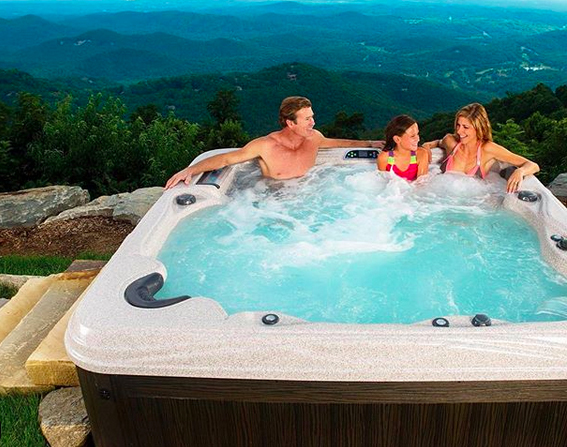 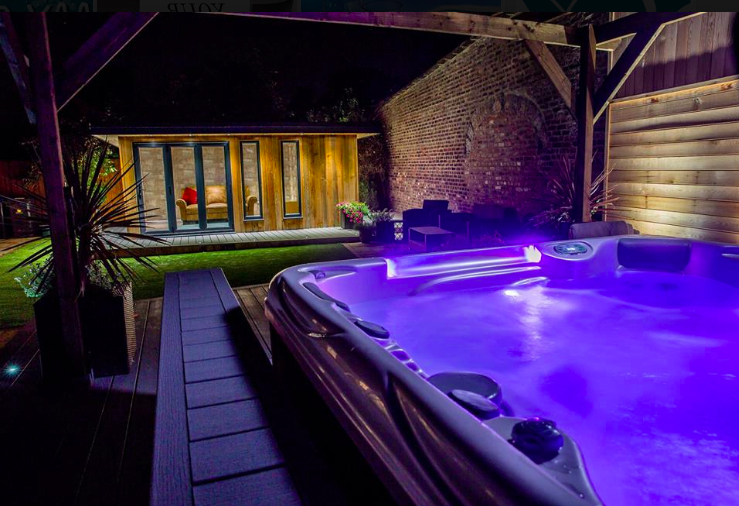 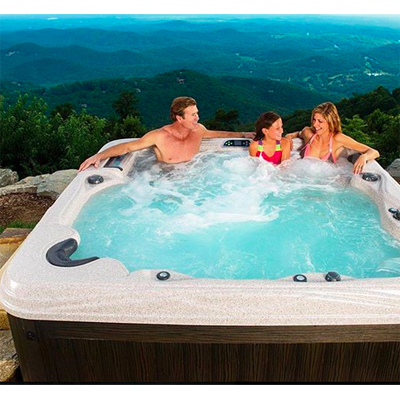 We are committed to building the highest-performing, best-looking, premium spas available in the market. 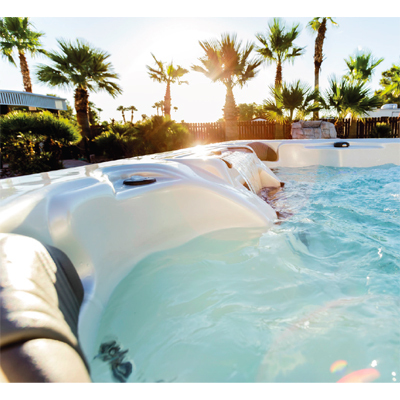 Ranging from 33 jets to 72 and everywhere in-between, each Island can be a one of a kind, personalised retreat. 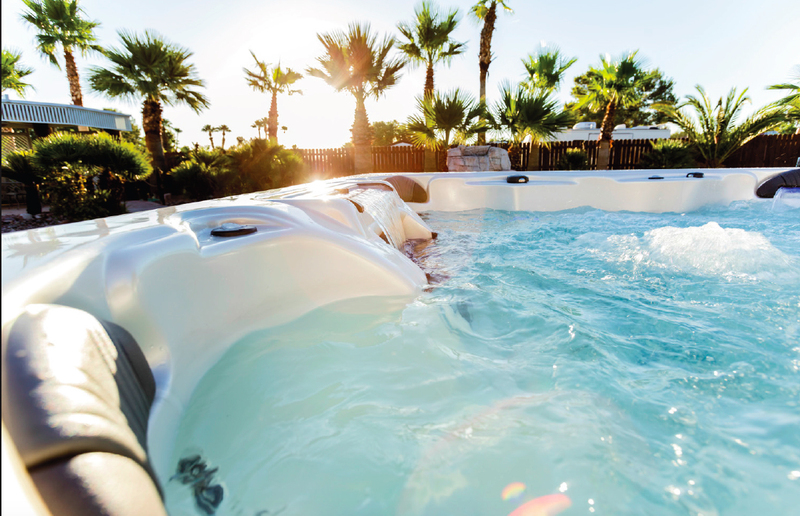 You get to pick the Island spa that perfectly fits your needs. 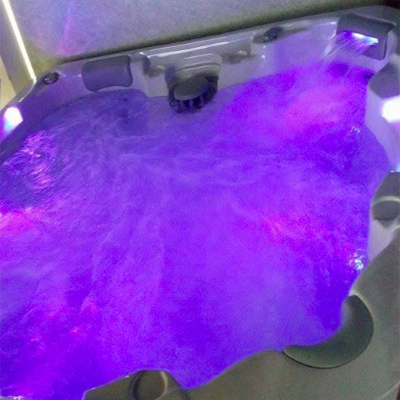 So, you can relax in an Island of your own. 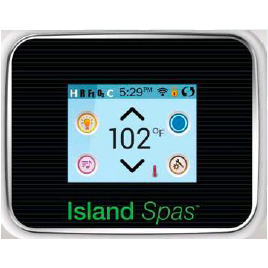 The Island Class utilises Artesian’s revolutionary patented Helix™ jets to provide the best possible hydrotherapy massage available. 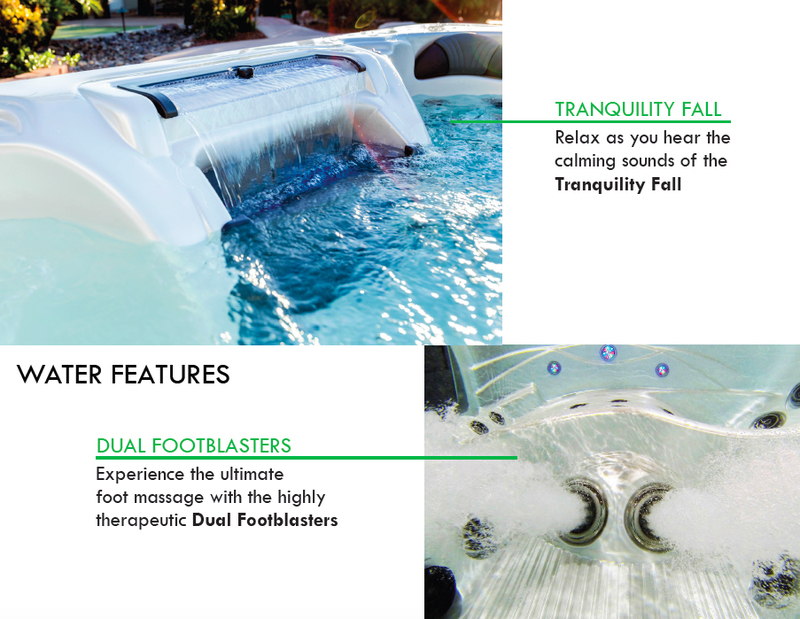 This can be combined with our unique Neck and Foot Blasters to provide a full head to toe massage. 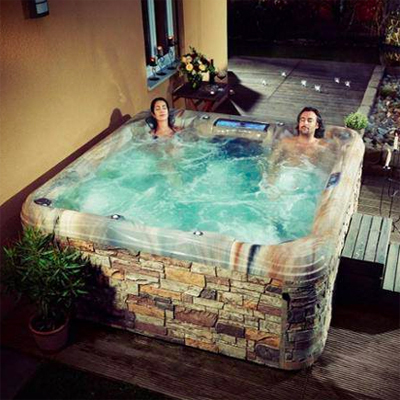 You even have the option of adding MicroSilk Technology to your spa, providing the ultimate hydrotherapy experience. 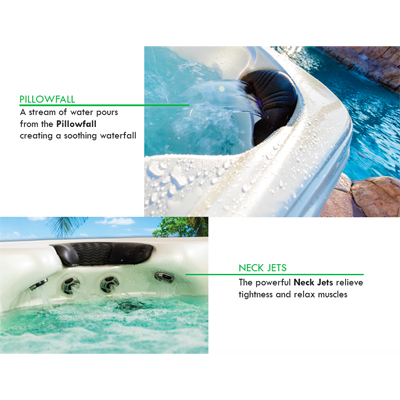 This superior jet, aptly named the Helix™, has been designed to provide a truly remarkable hydro-massage exclusive to Artesian Spas. 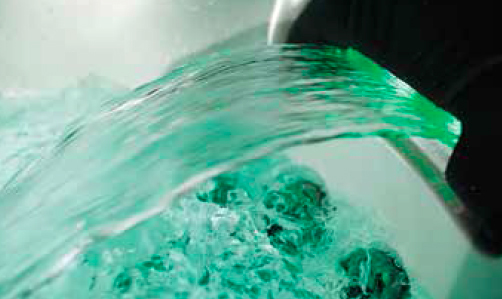 Engineered from the concept of the double helix, the jets use a right-directional spiral on the inside of the cylinder. 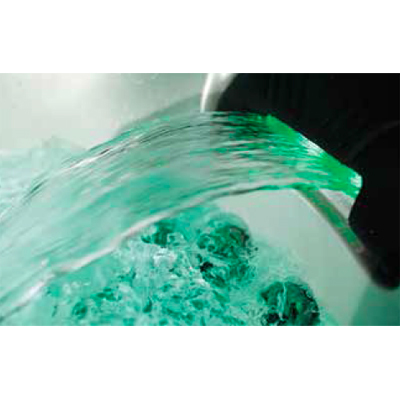 This causes water to spiral out in a twisting manner, providing jet pulsation and great massaging pressure. 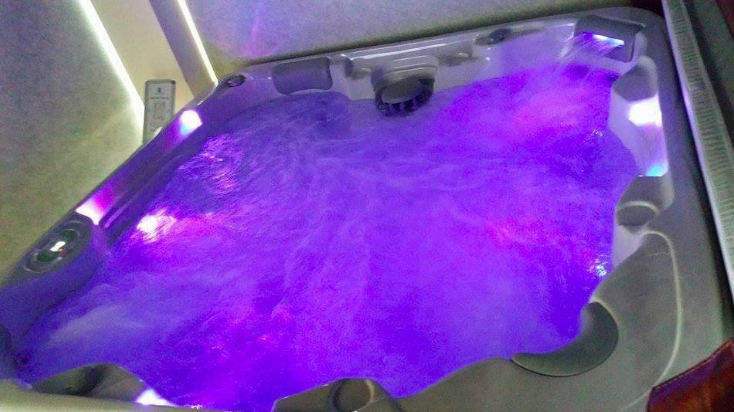 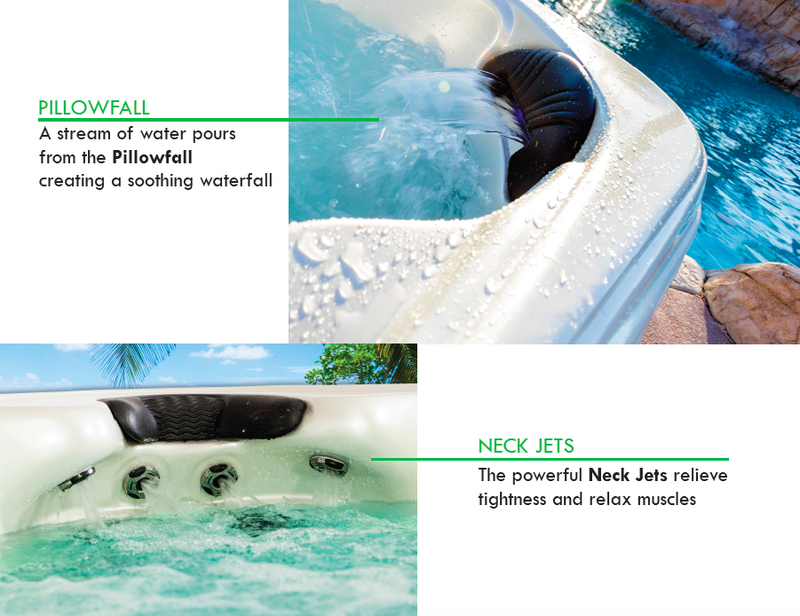 As a complete system, these jets provide the very best in hydro-massage. 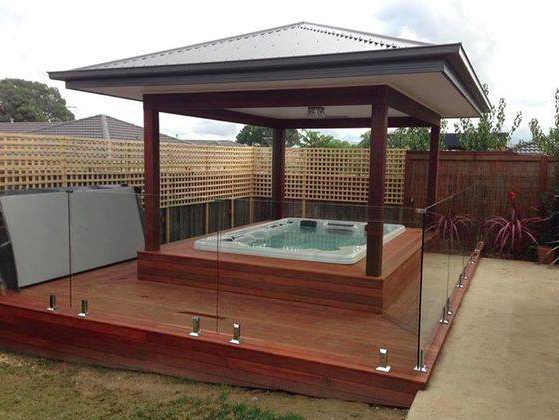 It’s easy to take care of your Lucite Spa - one of the glossiest, high quality surface materials available. 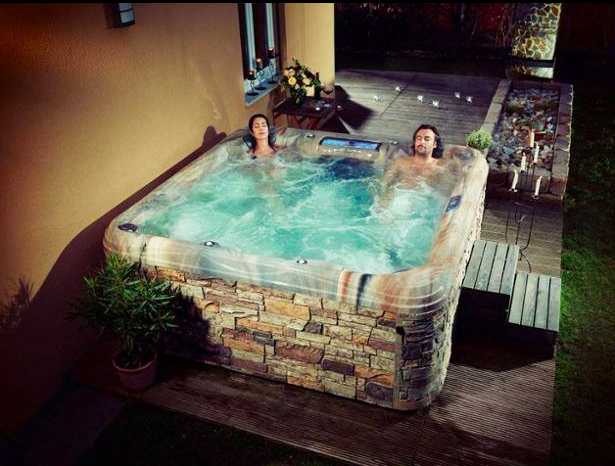 The non-porous surface prevents dirt from accumulating and resists stains better than other plastic materials. 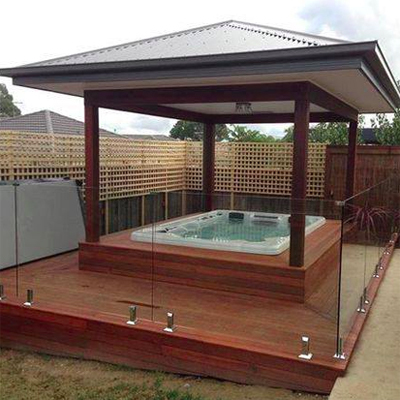 With normal use, Lucite is so durable it will retain its beauty with minimum effort. 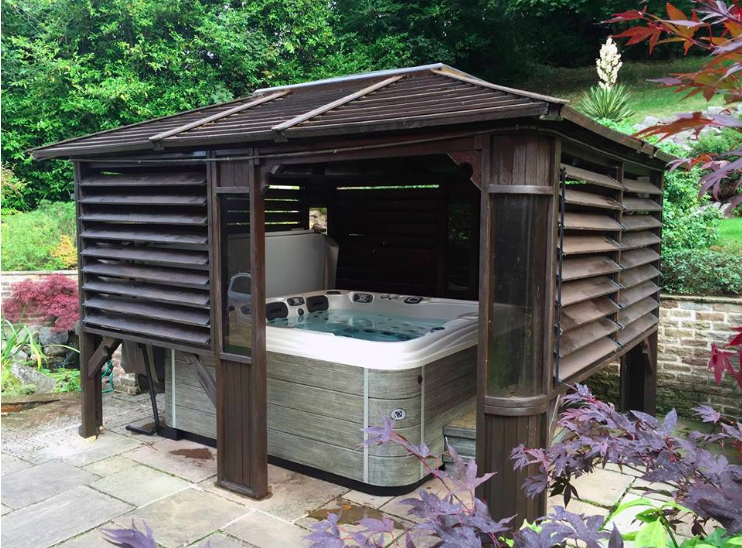 Every Island Spa comes standard with a longlasting, wood-effect Permawood™ cabinet made from a durable synthetic material that can withstand even the harshest weather conditions. 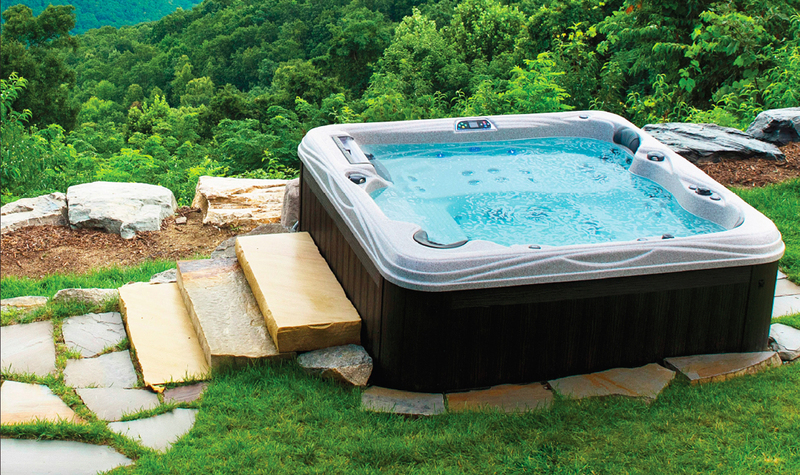 Beautiful, long-lasting Rock cabinetry is an available option that adds years of maintenance-free life to your spa. 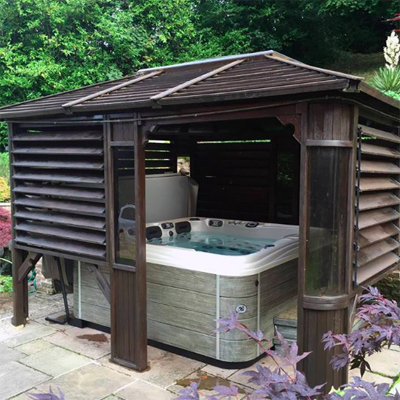 This all-weather cabinet is durable, fade and stain resistant.